Would your spouse or loved ones know what to do with the finances if you died suddenly? Talking with your spouse or loved one about what is going to happen after you die or aren’t able to take care of the affairs anymore, is never a fun conversation. However, many households divide “duties”, so if the spouse that has taken care of the finances die or becomes incapacitated, the other may not know how to access money or what investments they even have. As an elder law attorney, I see this in my practice often and it is an extra stress that could be avoided. It is very common for me to hear: “I know we talked about where and what our investments are, but he always took care of that and I can’t recall any details.” So even if you think you have had this conversation, do you remember everything your spouse does for the household and how it’s done? Sharing in household chores and responsibilities is one of the many benefits of sharing your life with a loved one. Losing a spouse or a spouse becoming incapacitated along the way is a very devastating; and money is the last thing you will want to have to worry about. 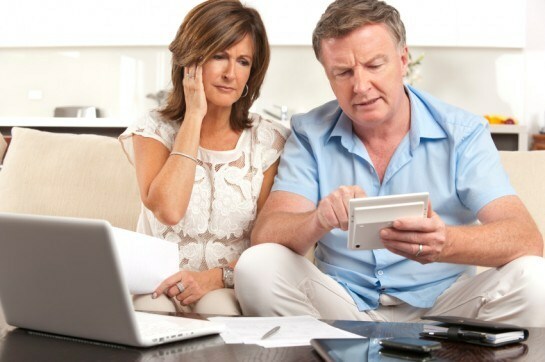 The surviving spouse can become overwhelmed with day to day money management. Estate planning is a great start to lessen the stress your spouse will have. We have a Peace of Mind Box Checklist we give to our clients to keep with their other estate planning documents. This is a template that is easy to use and provides a detailed summary and inventory of finances, debt, and asset information. The Peace of Mind Box Checklist form can be found here. When going over the summary make sure your spouse understands what type of investments you have, how they work, and how to access the funds including any passwords. An inventory of your assets will give you peace of mind that your spouse will have one less thing to worry about if something happens to you. If you’re interested in learning more about estate planning in which we plan for life if you might get sick or disabled along the way; or upon death, and how to protect and/or distribute assets. Call now for FREE consultation and evaluation with Glenn A. Deig, Attorney at Law at (812) 423‑1500. Previous Previous post: How Do I Choose a Nursing Home?